Every week we have the privilege to look at what our customers have created. 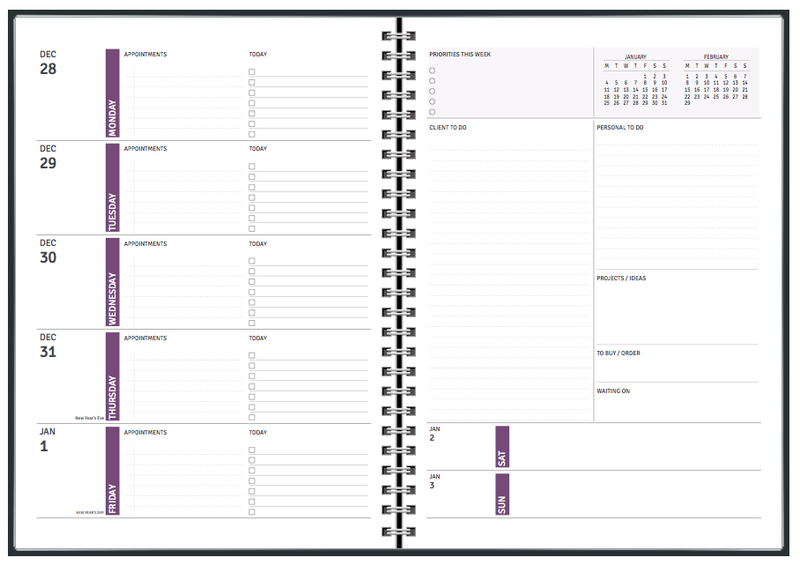 It’s fascinating to see each planner’s customized layout and how each one successfully addresses a specific person’s individual requirements with creativity and insight. Recently, we received a few requests from people asking if we would be willing to show some of our customers’ layouts to help them customize their own layouts, since they were having trouble working through all the options and possibilities. It occurrred to us that if they could benefit from seeing these layouts, so might other site users. We selected a bunch of different ones, from which we pick 10 to show you randomly. We hope you enjoy them!